‘Chum’ is the long awaited solo single from arguably the most talented rapper on the Odd Future roster, Earl Sweatshirt. It’s been over 2 years since his much hyped, critically acclaimed studio album ‘Earl’ was released and instead of the predicted fame and success from rap’s newest prodigy, nothing followed. It’s hard to imagine why such a talented artist would shy away from the spotlight until you dig a little deeper. It becomes apparent that his exile was enforced by his mother Cheryl Harris, a law professor at University of California, Los Angeles, who sent Earl to a therapeutic retreat school for at-risk boys in Samoa and also reportedly refused to grant permission to release any of his music. Earl being only 16 she was well within her rights to do so and I found it quite refreshing to hear the story of a mother who’s main concern was the welfare of her son and not which label was offering the most money for that multi album deal that definitely would’ve been on the cards. Responsible parenting in rap….I like it. Now 18 and back to his LA home, it’s clear from this offering that none of that early promise from Earl has wained. 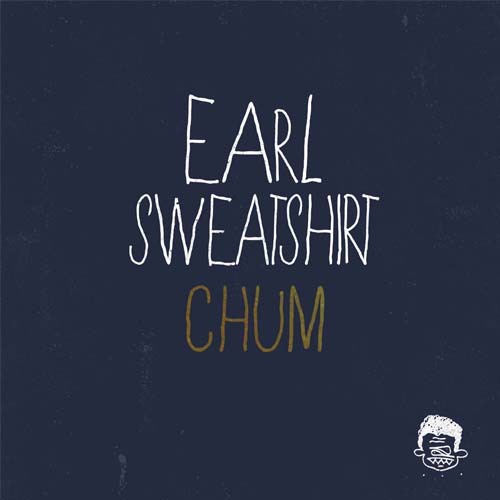 ‘Chum’ is a complex and deep song in which Earl uses some of his customary multi-syballic lines and intelligent wordplay to give us some very honest reflection on topics close to him like his childhood and his environment. It’s like a contemplative and melancholy diary entry delivered in a way that shows off his skill as a rapper. The doleful tone of his voice in this has been interpreted in many quarters as maybe a statement about his lack of passion and enthusiasm for hip hop, but I disagree. There’s no way an 18 year old rapper quotes an Edgar Allen Poe poem if he is disinterested in his craft. This is someone who cares deeply about what he is rapping about and possibly even more about how he is rapping about it. Listen below..